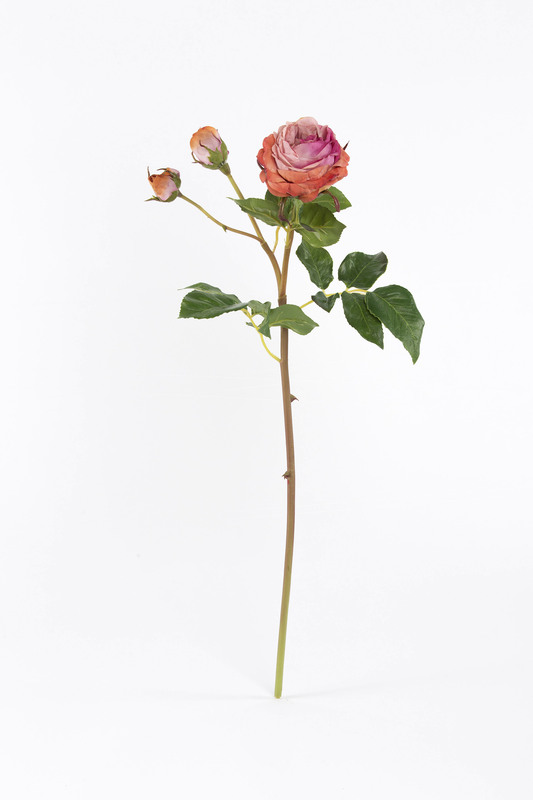 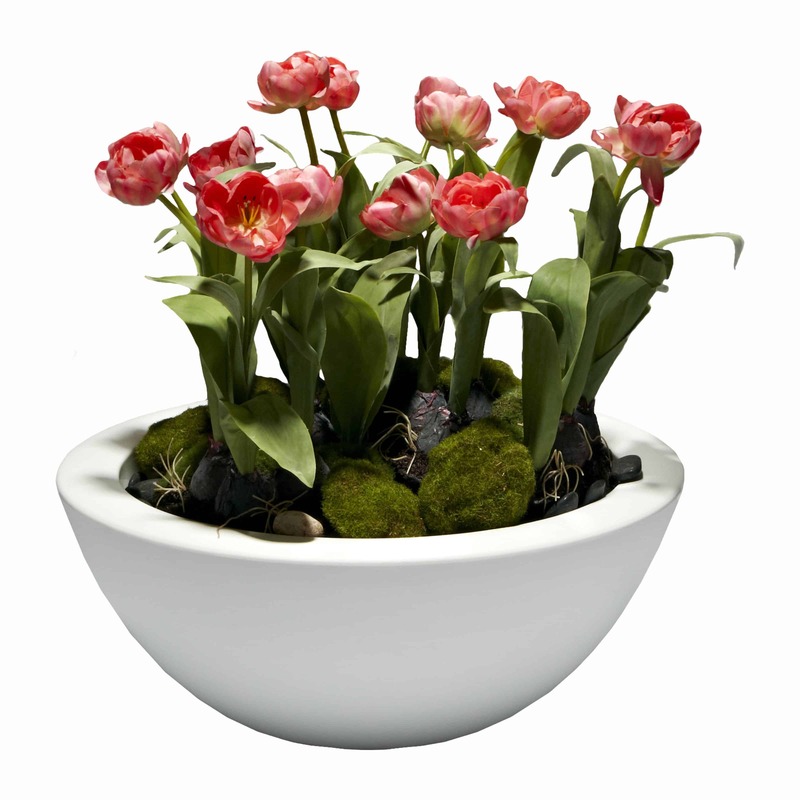 A vibrant and bright plant arrangement of the finest quality double headed lifelike Dutch pink tulips. 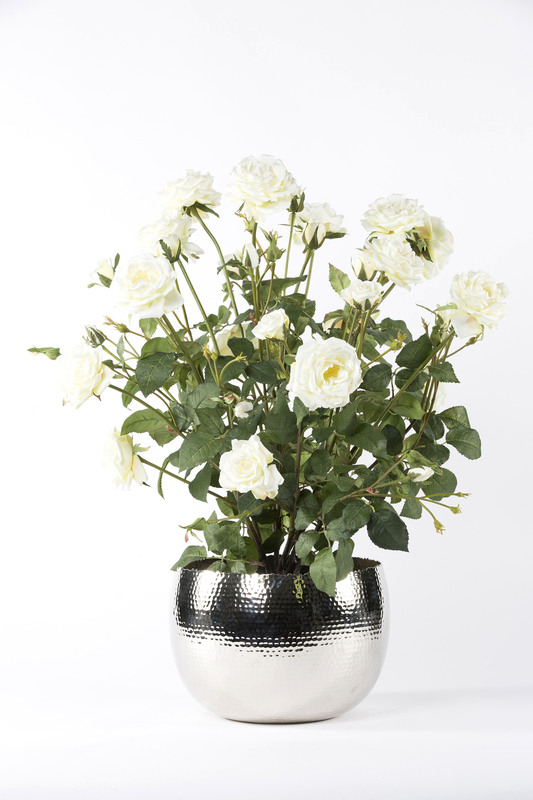 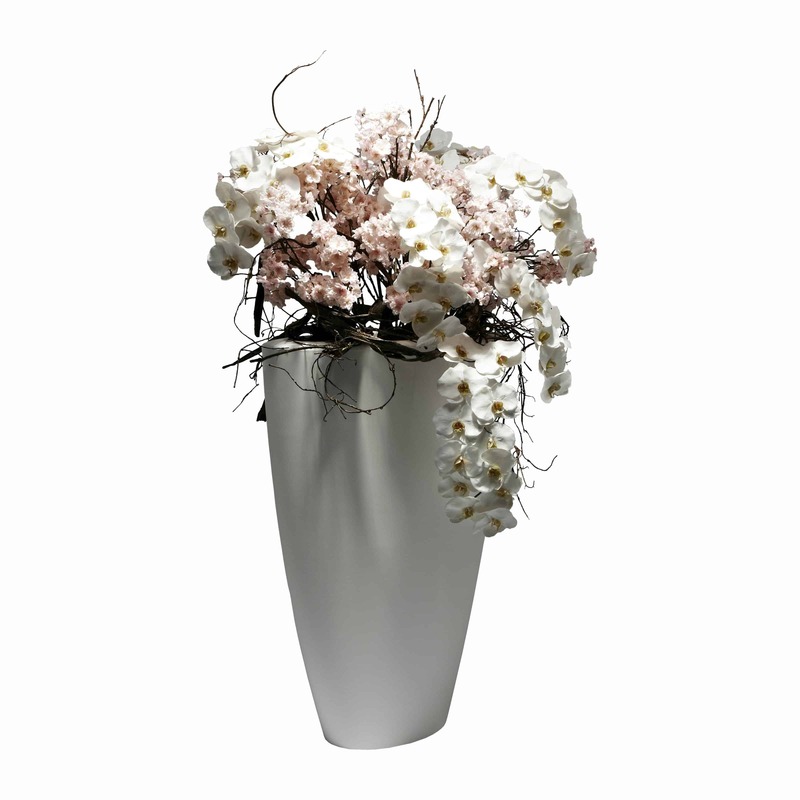 Created to showcase the beauty of nature using leaves and moss in a simple and elegant white pot. 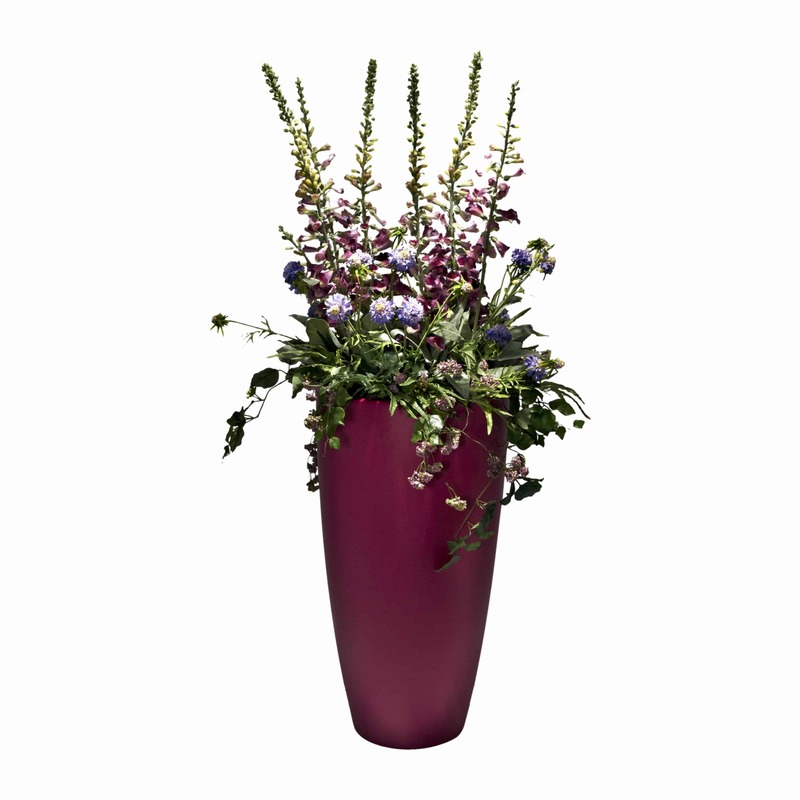 An ideal centre piece creating space and splendour.